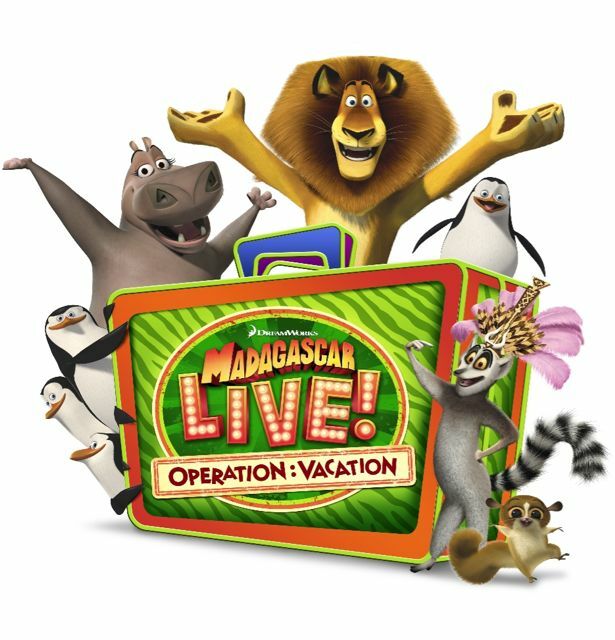 TAMPA, FL (May 17, 2013) – Busch Gardens® Tampa’s newest live stage show “Madagascar Live! Operation: Vacation” premieres on May 18 in Stanleyville Theater. Guests will party along the characters from DreamWorks Animation’s hit Madagascar franchise, including Alex the Lion, Gloria the Hippo and King Julien on a vacation adventure at Busch Gardens Tampa. To celebrate the arrival of the laugh-out-loud, high-energy family show, the Tampa park will host a premiere party weekend on May 18 and 19, complete with on-the-hour dance parties and meet and greets, in addition to the show’s premiere. The lively stage show encourages families to sing, clap and dance along to original songs and party favorites on a 20-minute musical adventure. Singers, dancers and a live band join the rollicking Madagascar characters as they amp up the party to full throttle. And as part of each show, guests can meet the characters following the performance in Stanleyville Theater, which has been renovated and is now an enclosed and air-conditioned theater. The energy and excitement will extend beyond Stanleyville Theater during opening weekend. Guests can join dancers and DJs throughout the park – in Stanleyville, Gwazi and Cheetah Hunt plazas – for a chance to dance every hour on May 18 and 19. There also will be unique opportunities to encounter animals all weekend long, offering guests yet another way to enjoy the variety and excitement that Busch Gardens offers. Saturday night only, Gwazi field will remain open thirty minutes after park closing for more character meet and greets from 8 p.m. to 8:30 p.m. and a special fireworks presentation at 8:30 p.m.
Plus, internationally known animal expert Jack Hanna will share animal facts and his travel tales during shows at 11 a.m. and 1:30 p.m. each day of the premier weekend in Gwazi Park. “Jungle Jack” Hanna will follow each show with autograph signings and audience meet and greets. Hanna is a best known as the as the star of the Emmy® Award-winning television series “Jack Hanna’s Into the Wild,” in which he invites audiences to join him on his expeditions around the globe. During his travels, Hanna shares with millions of viewers his insights into the protection and conservation of some of our planet’s most precious and endangered species. His hands-on approach has won him widespread acclaim as conservationist, author, television personality and lifelong adventurer.